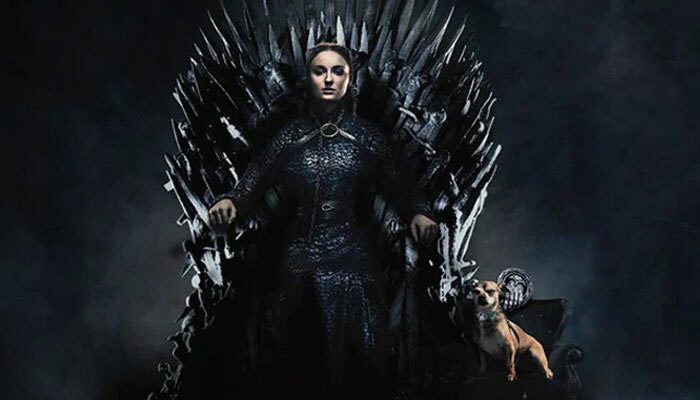 With the much awaited season finale of famed HBO series 'Game of Thrones' premiering finally, the magnanimous return of Sophie Turner as Sansa Stark has been celebrated by Priyanka Chopra and the Jonas family, much like Brienne of Tarth celebrating for Sansa Stark on the show. A houseful of Jonases rejoiced and marked the return of Sophie Turner, Joe Jonas' fiancee, in the hit show. Priyanka Chopra hilariously photoshopped her pet dog Diana right beside Sansa on the Iron Throne and gave a shout out to her J-sister counterpart: "Good luck Sophie, you are a boss babe. And are very loved." In a picture uploaded by the three, the Jonas Brothers juxtaposed their photos on the Iron Throne with Cool written across it and wrote: "Had to do it. Winter is upon us." Cool is the Jonas Brothers' new single. Kevin Jonas also took to Instagram to revel in Sansa's return in a hilarious post. Meanwhile, Game Of Thrones Season 8 is set two years after season seven ended with the biggest cliffhanger of all times - that Jon Snow is a Targaryen and the true heir to the Iron Throne. Season 8's first episode aired Monday morning. Had to do it ‍️ Winter is upon us.